Most runners are somewhat familiar with the term Yasso 800’s, a workout that supposedly predicts marathon finishing time from a session of 10 x 800 meters with equal time rest between each 800. However, as a running coach and marathoner myself, I have to take issue with this workout for two reasons. First. we have no actual evidence to support there is an actual connection between the fitness this workout demonstrates and marathon finishing time – it’s merely a coincidence. Second, the specific demands of this workout do not accurately target marathon fitness – you can run workouts that will provide a greater benefit to your marathon training. Let’s examine those two thoughts in more depth. I’ve met Bart Yasso and had the pleasure of speaking to him in-depth about the “Yasso 800’s”. What I found interesting was the reasoning behind his prediction model of Yasso 800’s and marathon finishing time. Specifically, there was no scientific data that showed, physiologically, why the Yasso 800’s would be a predictor of your marathon time. Instead, Bart simply noticed that there was a correlation between marathon finishing time and the average 800 meter splits when performing a workout of 10 x 800 meters. It is important to remember that correlation and causation are two different things and that one does not cause the other. This is the basis behind all quantitative research methods. For example, one study demonstrated that that the total US highway fatality rate perfectly correlates to the number of fresh lemons imported from Mexico (full study here). Does this mean that the number of lemons imported from Mexico is causing highway fatalities? I doubt it, but there is certainly an unbelievable correlation. The outrageous lemon story is good example of why you shouldn’t base your training off correlations. You certainly wouldn’t bet money that lowering the total number of lemon imports would reduce highway fatalities, just like you shouldn’t bet all the hard work you’re putting into your training on a correlation between one workout and your supposed marathon fitness. In my own experience, both from my own training and the hundreds of runners who I’ve coached, this workout usually predicts a marathon finishing time about 5 minutes too fast. My theory is that because most runners do not have a strong aerobic background accumulated from years of running higher mileage, their aerobic endurance lags behind their maximum speed. For example, most 4 hour marathoners could run one lap around a 400 meter track in 90 seconds, but very few could run a 6 minute mile (4 x 90 seconds). Many runners simply lack the endurance to maintain that pace for a whole mile. An 800 meter interval is short enough that you can gut through the session, which relies more on basic speed than an endurance based background. With an equal rest, this becomes much more a test of speed than marathon potential. Finally, one of the reasons the marathon is such a difficult race is theissue of fuel – the total amount of carbohydrates you can store and the efficiency at which your body uses your available provisions. Accurately predicting a marathon finishing time needs to take this variable into account. Yasso 800’s do not factor in the important issue of fuel utilization in the marathon because it never tests your ability to store and conserve carbohydrates when running. A successful marathon training plan should almost always focus the majority of the workouts on physiological progression and adaptation. Specifically, how a particular workout addresses the physiological challenges of a race and trains you to conquer that challenge. As Coach Nate Jenkins demonstrated with his 2007 Olympic Trials training, the key to marathon training is focusing on marathon specific workouts, especially in the latter stages of your training. As Coach Nate describes it, a marathon specific workout is a run where the main body of work is run at 95 to 105% of marathon pace. You may do other work within the workout to tire yourself out or soften your body up for the marathon pace work. but the focus of the workouts should be to teach your body to run for a long time at your goal pace and to teach your body to run at your goal pace when you are very tired and have very little glycogen left in your system. Unfortunately, Yasso 800’s are a VO2 max workout – you run at max speed for 2-4 minutes and then take an equal amount of rest between intervals. Research demonstrates that an increase in VO2max does not increase fuel efficiency. Likewise, VO2 max intervals don’t specifically develop or improve your aerobic threshold. Therefore, a workout like Yasso 800’s during marathon training has limited benefit to your marathon specific fitness. So do Yasso 800’s have any benefit to your marathon training? That’s not to say that VO2 max workouts don’t have their limited place in marathon training. VO2 max workouts do increase your overall running fitness and they improve the speed at which you can run, which would in turn make running at marathon pace feel “easier”. However, given many runners perform Yasso 800’s three to four times in their marathon training cycle to “measure” progress, the focus of the training can sometimes become too centered around improving your VO2max, and not focused enough on improving your aerobic endurance and fuel efficiency. In many cases, you have a short 12 to 16 week window of specific marathon training. This means you have a limited number of workout days upon which you can improve your marathon specific fitness and train to run your best on race day. In my opinion, squandering three or four workouts to gauge your potential based on a loosely correlated predication workout isn’t the most effective way to train. Finally, I am not suggesting that a session of Yasso 800’s won’t come close to predicting your marathon finishing time – it often does work. However, as a runner and a coach, if I am dedicating so much time and energy to one specific race, I don’t want to leave my training and racing to a mere coincidence. Moreover, why “waste” a workout day when you can run a training session that will provide a much greater bang for your buck. If you want to test your marathon potential, try a fast finish long run. Head out for a 16 to 20 mile run where you run the last 6-10 miles at your goal marathon pace or a little faster. The demands on your aerobic endurance and specific ability to run fast for a long period of time are better tested than during a session of 10 x 800 meters. With a fast finish long run, you’ll more accurately determine whether you have the strength and endurance to race well, and you’ll be getting in a workout that improves your fitness to a greater extent. What are your thoughts? Have you used the Yasso 800’s in your training and found them to work well? We would love to hear your experiences with this workout. Another well written, timely article…thanks Jeff. I’m a big fan of Bart Yasso, but was always hesitant to try and use his 800’s as an indicator. I have a real good idea of what I can complete Yasso’s workout in, using a recent 6 x 1000 workout, and running calculator, and it estimates a marathon time exactly 5 minutes faster than my upcoming goal time. Thanks again…keep ‘em coming. Thanks, Mike. I too like Bart and think he’s been an innovator when it comes to training, just wanted to provide a different opinion on this workout. Glad you enjoyed the article and had the same experience in regards to the prediction time. Good luck with the training! I enjoyed your article, Jeff. I believe any and all workout can predict a marathon time, some better than others. Any workout selected for this purpose will have advantages and shortcomings. I doubt very much you would find anyone capable of 10x800m 2:05 w/ 2:05 rest for example, who would be much worried about respectable marathon capability. Completing the first two or three reps alone confirms that 99% of the field in a major marathon will be finishing behind you. I would like you to consider Jeff that it is extremely unlikely you or any of your athletes will knock even a few sec/rep off a 10x800m session and not improve on old school lactate-based parameters whichever one you may hang your hat. Energy systems do not work in isolation. Moreover, any good workout today can be a terrible workout tomorrow; context and timing are everything. Though many elite marathoners are very high in ST fiber not all are certainly; we’re long past the 70’s data, the world has moved on, Kenyans and Ethiopians especially. Many marathoners today are not far from 50/50 whether 2:05 or 5:02, so the strong/steady training idea that feels right for you may be far from it for others. Elite marathoners these days run much much more like skinny tireless sprinters. Good luck finding a 2:06 marathon guy who can’t run something close to 50 for 400m. Forget 800m, I imagine you would even find a correlation between 10x160m w/ equal rest and marathon time, or even the self-selected stride out pace just before the marathon start and finishing time..
Yasso 800’s. Well i tried this form of training way back in 2005 for the Chicago marathon. I did 800m (x8) with equal rest. All 8 repeats were 2:48 and my Chicago finishing time was 2:48. Coincidence or not, it was a PB and very satifying at 45 years age. That was my last marathon and now at 54 and approaching a decade after that race, i would like to have another crack at a marathon. The last 10 years in the wilderness, i’m backing a comeback to running and its back to basics. Over the coming months i will read with interest your website and if its no problem, ask for training advice. So glad i read this sites info and especially the Yasso article. Great read, keep up the good work. I had almost the exact same experience as you with the 2006 Chicago Marathon. Built up to where I did 10 x 800 Yassos at 2:50 pace. Ran 2:49 at the race itself with negative splits of 1:26/1:23 at age 46. Yassos weren’t the only thing I did, of course (also did the requisite long runs including a few 23 milers and also did the Hanson 5 miles easy, 13.1 miles at marathon goal pace, 2 miles easy workout). Hello, thanks for sharing your experience. Nice job at Chicago! We like to think that your other workouts and long runs were what helped you run your time on the day, sounds like you had your training in the right areas! Keep up the good work, great job! Agreed… Yassos cannot be the ONLY type of training you do to arrive at a fast marathon time. The combination of all those runs aid in your development… presuming you’re doing everything else well, Yassos are simply a barometer of how well your fitness is and what your finishing time will be. Thank you for your input Dan, you are right on! Thanks for the comment and you sound like a lot of “pure marathoners” I know. Coach Nate is a good example of this – he’s run 2:14 in the marathon, but he’s only run 13:56 in the 5k. It might be a good idea for you to have a very speed focused training phase where you train for the 3k or 5k and really just work on your speed and economy. I wrote a little more on this topic here: https://runnersconnect.net/running-training-articles/post-marathon-speed-training/. Good luck with your training and I really appreciate the comment! I have to agree with you about the 800’s, but i’m also up in the air about them. I have run two marathons (2:57 and 2:56), and am running Boston this spring. Recently i ran 6×800 and averaged 2:54, but it felt like it wasn’t within my reach to run that, in fact it felt hard. (May have been because i ran a 1/2 marathon (1:18:10) two days before, but whatever). Yesterday i did a long run of 18 miles with 8mi easy followed by 8mi at 6:22 pace (getting as fast as 6:05 for a couple of miles). That felt great. I think aerobic foundation is so important and can really give you insight into your true marathon prediction time. But as with everything, one thing works differently for everyone. You’re right, everyone responds to workouts differently, so you always have to keep that in mind. Judging from your comment, you’re definitely including a good mix of workouts and things are looking good for you in preparation for Boston. Glad you enjoyed the perspective on the workout. Thanks Jeff for a great article – one that is extremely informative without slamming Bart Yasso. From what I’ve read of him and from reading an article written by him in Runner’s World, he seems like a humble guy who is just trying to help out the average marathoner. It is nice for a “want to run a 26.2 someday” runner like me, though, to read some more practical training advice, which is what you do so well. I think I will try out Bart’s 800’s with your comments in mind: not specifically as a training device, but as a “what-if” type of barometer for a future marathon. Keep up the good work! Thanks, Marty.I agree, Bart is a great ambassador to the sport, so I am happy I conveyed my point on optimal training without being offensive. I think adding the 800’s to your routine as a “what-if” is fine, especially if you have a long build-up and have a “few workouts to spare” so to speak. I actually feel that the Yasso 800’s could be a good “medium” type effort during or after a hard training week. For example, not every workout in an 8 week marathon specific block can be off the charts difficult. Yasso 800’s could server as nice medium effort to still get in a workout, but not tear yourself to bit for the next big marathon specific workout. I have used Yasso 800s in marathon training. But my understanding was that they are merely a training tool–I have never heard that they were a “predictor” of marathon finish time, nor do I see how they ever could be; I. believe that you have the cart before the horse. My understanding is that Yasso said to run the 800s at the pace in minutes and seconds that you “hope” to finish the marathon in in hours and minutes. If your plan is to run a 3:35 marathon then you run 3:35 800s. Therefore, though they may still be anaerobic they aren’t run at VO2 max. As for marathon training it’s quite possible that they have little value, but I don’t believe they were ever intended as a predictor. According to RunnersWorld, the Yasso 800’s are a predictor workout: http://www.runnersworld.com/article/0,7120,s6-238-244-255-624-0,00.html. Granted, Bart didn’t write that article, but he is an editor at RW, so if he had qualms with the language, I think he would have changed it. I agree, I don’t think they are a reliable predictor, more a correlation and coincidence. That’s why I wrote this piece. I didn’t want to see athletes running this workout and thinking that it was an indication of their marathon readiness. I believe there are better workouts for that and more effective uses of specific workouts they can run, especially in the marathon specific phase. I appreciate the comment, Craig and I am glad we agree on the merits of the prediction method. Your link seems to have ‘expired’ and I’m not able to find any (original) source saying that Yasso 800’s primary function is to act as a predictor for your marathon time. In what I believe must be the original article, dated 28 September 2001, Bart Yasso is quoted as saying; “I’ve been doing this particular workout for about 15 years, and it always seems to work for me. If I can get my 800s down to 2 minutes 50 seconds, I’m in 2:50 marathon shape. If I can get down to 2:40, I can run a 2:40 marathon. I’m shooting for a 2:37 marathon right now, so I’m running my 800s in 2:37.” The article then goes on to describe the Yasso 800’s as a work out method aimed at getting you up to speed for your target marathon pace. I want to comment on the discussion about correlation as this is a difficult concept with some common misconceptions. First of all, the lemons/road accidents example is not relevant. It’s a “fun fact” example of correlation without any causality – a coincident. You will easily be able to find such coincidental correlations between data sets if you have access to a lot of data sets and carefully select the variables and limit the data intervals you look at. The Yasso 800s and marathon finish times obviously have a correlation with some sort of causality involved, and it’s not coincidental. If the best approximation is a factor of 60 (converting minutes to hours and seconds to minutes) is another story. And I haven’t found any scientific research about just how strong the correlation is, but I’m sure we can all agree that a certain correlation would be measured if such research was carried out. From Wikipedia: The conventional dictum that “correlation does not imply causation” means that correlation cannot be used to infer a causal relationship between the variables. This dictum should not be taken to mean that correlations cannot indicate the potential existence of causal relations. However, the causes underlying the correlation, if any, may be of several different types – six to be precise (Jaccard, J., & Turrisi, R. (2003). Interaction Effects in Multiple Regression). In the case of Yasso 800s and marathon times I suspect we experience what is called a spurious relationship: “A spurious relationship is one in which X and Y are related, but only because of a common cause, Z. There is no formal causal link between X and Y.” What is the Z in this case? VO2max, running efficiency, max speed, endurance etc. – such parameters will all influence both the Yasso 800 and the marathon time. Even if VO2max is more important for the Yasso 800 than for the marathon time (I take your word for that! ), it will probably have some effect also on your ability to run a marathon. Similarly, your stamina is important for your ability to finish 10×800 meters even if it is more important during the marathon. So to summarize, I believe there is no formal causality between Yasso 800 and marathon times, but there is probably a spurious relationship based on the effect from common physical parameters as VO2max, running efficiency, stamina etc. How strong the correlation is will require some formal research, and hence the predictive power of the Yasso 800s is, for now, based on somewhat anecdotal evidence. To what extent the Yasso 800 is a good workout strategy in order to improve your marathon time is something I leave for the experts to discuss. If you were my coach Jeff, I would surly listen to you 🙂 For what it’s worth, I believe modern research shows that interval training (like the Yasso 800s) is a great place to start for untrained beginners. For more experienced long distance runners they could probably still be good for speed training and increasing running economy, but I follow your reasoning that there is probably better ways to achieve this for a marathon runner. I’ve noticed a couple comments where people say they ran 6-7 x 800. THE WORKOUT IS 10X800!……the last 2 are the toughest and will probably lower your average 800 times. Yes, this poster is correct. It’s 10x800m. Also, you go by the SLOWEST of the 10 800s, not by the average. So, people that are doing 6 or 7 800s have not done the right workout… For me, the 800s have been a pretty good indicator of my marathon times. I did 3:09 before a 3:09 marathon and 3:04 before a 3:07 marathon. Actually, the method described by Yasso involves doing many Yasso 800 work out sessions per week, and in the beginning only doing 4x800s and then increasing to 10x800s a minimum of 10 days (preferably 14-17 days) before race day. Good advice. I experience the discrepency in predictability you mention even with 100 miles/week training. With a goal of sub 2:30 marathon, I’ve done the Yasso 800’s in mid to high 2:20s, and only able to race in the 2:33 to 2:40 range. I’ve always understood this was a correlation, and the reasons behind the correlation, but I’ve (1) always found my marathon time to be faster by 5 to 10min and (2) I don’t use it as a vo2 max workout. In my understanding of the workout, I’ve always run the 800m at a threshold pace, with a jog recovery in between. For me this correlates to running 2:35 – 2:40 800m splits with a matching time for the following 400m jog. I *could* run the 800m splits faster, but the point of the workout isn’t so much to see if you can hit a specific split time, but to see if you can hit a specific split time easily. In an interview with Yasso I read he didn’t talk about your peak performance in the workout being used to predict your marathon time, rather he discussed that the 800m pace he could comfortably run 2 weeks prior to the marathon correlated. Its possible this is partially where the “5min” gap some people notice comes from. Thanks for your comments, James. I agree, there seems to be a lot of controversy around exactly how to run the workout – how hard and when. My main argument against running it in the last two weeks of the race is that you could, and should, be doing more marathon specific work at that point. Ideally, you would either be running MP to practice the feel or getting in your last big tempo/threshold workout. I also much prefer to do my vo2 training with mile repeats. I have to disagree with 90% of this article. Yasso himself says his workout is merely a gauge of finishing time and if you can complete the Yasso workout that doesn’t mean you can definitely finish the marathon in the projected time. However, if you can’t complete the Yasso workout it is a very strong indicator that you will not finish in that projected time. This can be very helpful to an new or intermediate runner who is unsure of what their marathon potential is. And while the Yasso may not be the greatest training tool for long distance running, it can be a great tool for decreasing your mile times. Again, Yasso doesn’t tell anyone to just go out and run 10×800 all at once. You build up to it throughout your training, start with three 800’s, then later on in training go to 5, 7, and so on. If your consistently failing to complete the workouts, increase your avg mile times so your not crawling to the finish line come race day. Also, you don’t do the Yasso’s on pace day, or distance training day. You do them in the midweek workout. So your not wasting the important workouts on Yassos. The author’s suggestion of a better way to gauge your time is quite laughable. “Go for a 16 to 20 mile run and run the last 6-10 miles faster than you marathon pace”? Well by the time your ready for a 20 mile run in your training its a little late to adjust your pace time. It’s also a great way to wear yourself out before the big day. The author could have just posted Yasso’s workout as Yasso explains it and avoided this whole article. Thanks for taking the time to add your thoughts, James. My main point with this article was that the workout is often thought of as a marathon indicator – intentional or not. I agree with the statement that if you can’t do the 800’s you probably can’t do a marathon at that pace. However, I think it’s as much of a false assumption to say that a runner can determine their marathon potential by a session of 4-6 x 800 meters – even if that is just a starting point. I guess I would argue more that a runner should not be attempting a marathon within 4-5 months if they cannot complete 6 x 800 meters. Likewise, if you can’t do a 16 mile run with a finish at what would be your marathon pace 8 weeks out from your goal race, you have more important concerns other than pace. Why would it be too late to adjust your pace at that point? You would still have 8 weeks to adjust to the pacing and most experts agree that it only takes about 3-5 workouts to develop a good feel for pace. Again, thanks for your thoughts and perspective. i agree. everyone runner is different. why would anyone think the YASSO 800 guarantees a certain super specific finish time. Its a gauge, not a legally binging document. just silly. Your logic by comparing lemons from Mexico and auto fatalities to running fast in a series of relatively short distances and running fast in a long distance is terribly flawed. You are comparing two things that are unrelated to two things that are closely related. In fact, you concede the validity of the Yasso 800 by saying it predicts a 5 minute faster time and that it often works as an indicator. Those I’ve spoken with, running in the 2:35 to 2:50 hr. range have found a very accurate marathon predictor in the Yasso 800. All of this aside, what you are saying is lacking logic, and anyone based in the field of logic, not even aware of what running is, would say so. Thanks for the comment, John, but I think you missed the point. The lemons and auto fatalities part was just a dramatic way to show that correlation does not equal causation. I wasn’t trying to compare anything. Again, some people, depending on their particular strengths and weaknesses will find this to be a more accurate predictor than others. Sometimes it will be dead on, sometimes it will be way off. My suggestion is that I wouldn’t want to set my goal time and race pace off a workout that has no scientific relation to marathon readiness. Moreover, as mentioned, there are better workouts you can do to prepare you for a marathon (so why waste one), and better predictor workouts/races one can do. Thanks for the comment, Richard. The important question is “what was the rest?” That is a big component of this workout. Obviously, it depends on your training, but with a 1:29 HM best, you certainly have the ability to run 3:15. Best of luck! Thanks for the reply and encouragement for 3:15. My rest intervals were 400m between 2:20-2:30 mins. I did my marathon in 3 hours 18 mins. I was hoping for sub 3:15 but happy with my time on a course that had a total elevation of 600m. Some advice: there is another marathon I would like to run in 4 weeks time. How long do you recommend before I run the next one? Interesting enough, I have been looking to add Yasso’s in to my quality run days to strictly improve speed and this week on business travel I finally found a HS track convenient to try it. After my first attempt this morning I found your article. I am preparing for my second marathon next week and hope to shave 15 minutes off my 4:00 time this past January and then hope to shave another 20 minutes off by next March when I do the Napa Marathon and hopefully hit a qualifying time for Boston in the 46 year old group. I am not using Yasso’s for a predictor, as I have a parrot predictor someone shared with me in their run log (which was dead on my first go round). My question is this, if I rotate the Yasso’s in with hill repeats, tempo runs and other variations of quality runs is there value for my speed target or am I better served sticking with the other speed improvement work on my 1 or 2 quality days a week? Thank you for the follow up and links! Seconding that the lemons analogy is laughable. Apples and oranges Coach. I don’t think anyone ever said that the way to train for a marathon is to run 800’s. Track workouts are simply easily and accurately comparable to benchmarks. Having said that, I just did 10×800 and am not convinced that it showed much since for the last half I typically ran the first 600 faster than 800 pace and jogged that last 200. I actually got faster towards the end of the 10. It is a lot tougher to cheat like that on 4 laps. Thanks for the comment, John. At first I was going to try and further explain how the lemons and accident story wasn’t an analogy, but the more I thought about it, the more I think it’s a great example. What is the relationship between lemon imports and highway fatalities – absolutely nothing. What is the relationship between running 800’s with a 400 meter rest and marathon time – absolutely nothing. It’s coincidence they come somewhat close, just like it’s coincidence lemon imports and highway fatalities rise together. There is absolutely no physiological reason 800’s predict marathon time – it’s not even the same energy system, never mind 1/5th the distance. You’re right, track workouts are comparable benchmarks, but there are better ways to run them that more specifically target the energy demands of the marathon and it’s important you consider when you run them in the training segment. For example, you can run 10 x 800 at 8k-10k pace, but keep the rest to 45 seconds, which means you keep the heart rate up and keep the entire workout as a fast threshold effort. More importantly, you don’t want to do a 10 x 800 workout anytime within the last 6-8 weeks of your marathon training. It’s entirely unspecific to the demands of the marathon that it’s truly a wasted day. Save your energy and workout days for a workout that is going to help you target the specific energy systems you need on race day. Hope that made sense and good luck at your race! Nice article, and useful points about training specificity. I previously read that the ‘Yasso test’ could be a useful indicator as ‘necessary’ rather than ‘sufficient’ in relation to marathon performance – i.e. to have any chance of such a marathon time, you at least need to be able to pass the ‘Yasso test’, but it doesn’t guarantee anything. Although some of the other responses to your article suggest that even that isn’t universally true! Just a point about statistical comparisons though. Let’s suppose you tested a thousand people for both their Yasso times and their marathon times. If there was indeed a close statistical correlation, I would say that would be strong empirical evidence for some kind of link between the two (i.e. no coincidence). I’m not familiar with the lemons/accidents study you cite, but from what I understand that is only a single set of data (i.e. equivalent of testing a single person’s running performance). If every single country in the world showed a statistical correlation between its lemon imports and traffic accidents then I guess people would start to seriously wonder about causality! Sorry, but Astra as I know the yasso is intended to train you for the predicted time. The idea is for you to train for a specific time, and the yasso would be an indicator as to your, after the correct training, ability to achieve the time. I think you’re saying two different things. Yasso 800’s are NOT intended to train you for the predicted time. It is suggested that can be an indicator, after the training, of your ability to achieve a certain time. However, in my opinion, in the last 6-8 weeks of marathon training (the most important time) you shouldn’t be doing this type of session, so it’s not a beneficial workout and you can do other types of workouts that better test your ability to run a certain marathon time. Hi, I am be to marathons. Just finished my first one, The article isvery informative. You made the above comment several times. Can you send me a link/s to the “better” workouts”. I am a latecomer to this interesting discussion, but would like to raise a view not yet raised explicitly. I think that Yasso 800s do help develop (and also test) one of the physiological adaptations required for good marathon performance. A marathon is run at the maximum pace that maintains a steady level of acidity (MLSS), though a small increase can be tolerated in the final 5-10Km. As emphasized by the late John Hadd, this pace corresponds very closely to the pace giving the maximum steady state HR that can be maintained for more than an hour. The two most important goals of marathon training are increasing utilization of fat so that fuel reserves last for 42Km; and increasing the pace at MLSS. The former goal is achieved by long runs. One way of achieving the latter is medium-long runs at or a little above MLSS. This is the method recommended by Hadd. Another is increasing to marathon pace for the final 5-10Km of a long run. However, I believe that Yasso 800’s are an alternative to these sessions and has some advantages. Yasso 800 pace is a moderate amount above MLSS pace. In fact it corresponds approximately to 6Km pace. Acidity accumulates at a moderate rate at this pace. After a single 800 at Yasso pace, acidity is below MLSS but, at least for me, after about 4 repetitions, my HR indicates that I am near MLSS. After that, the rise in HR on subsequent repetitions is less because the rate of clearance of acid in the rest period approximately matches the rate of generation during each 800. Provided one can continue to 10 repetitions without further appreciable rise in peak HR, one is fit enough to run a marathon at the marathon pace used to estimate Yasso 800 pace. If one cannot achieve 10 repetitions, then provided there is time before the target event, continuing to perform this session will lead to improved capacity to handle lactate. If time is insufficient, decrease the target pace. If one can achieve 10 repetitions and there is time before the event, then it is worth increasing the target pace and repeating the sessions. I personally find Yasso sessions less stressful than either medium runs at a little above MLSS; or long runs increasing to MP for the final 5-10Km, though there are both physiological and psychological benefits of both of these types of session, so these sessions also have an important place in the program. However, Yasso 800 sessions do contribute very directly to an important aspect of marathon fitness and therefore are also worth inclusion. With regard to prediction, it should be noted that the Yasso session will only be a fairly good predictor of marathon pace if the runner has done enough long runs to ensure that fuel lasts the full distance. If not, Yasso pace will lead to an under-estimate of marathon time. I am training for the Rock N Roll San Antonio Marathon on November 17th. Last Monday my workout called for (7) x 1 mile repeats. My results were 5:57, 6:04, 5:59, 6:02, 5:56, 5:59, 5:59. The rest time was not calculated, let’s call it 5 minutes. Based on those results, what would you estimate my marathon finish time/potential to be? Assume I had fresh legs (I didn’t). Thanks. Although the info in this article may be somewhat accurate, it doesn’t mean Yasso 800’s aren’t a useful gauge of one’s capacity to complete a marathon in a relatively specific time frame. You have to look at the Yasso 800’s the way Yasso tells you to. That means if you can complete the Yasso 800 workout in the target time, you MIGHT be able to complete the marathon in said time. HOWEVER, if you can’t complete the Yasso 800 workout for said time, then you most certainly WILL NOT be able to complete the marathon in that specific time. Show me one marathoner who couldn’t complete their specific Yasso 800 time, but was able to run the marathon as fast or faster than the Yasso prediction time. BOOM. nuff said. At the very least, Yasso 800’s are great for people who have never ran a marathon yet, but are training for one, with a specific finish time. Plus, They’re fun as as all heck and easy to do/follow. I wonder if the author of this article has ever tried them himself, or is this all just based his speculation. I assure you, I have tried Yasso 800’s. They felt like a wasted workout to me – so very unspecific to the marathon. I think you’re right though, they are great for first time marathoners who have no idea what goal time to run or to see if there expectations are way off. But, my advice would be why not use a 5k, 10k or HM time to base your marathon goal off rather than wasting a workout? Pingback: Week 12: Time To Re-think The Target? | It's all downhill from here......hopefully! Currently I train to 2013 Philadelphia marathon based on your 3.30 marathon plan available through Runkeeper. My yesterday’s training was very similar to Yasso 800s. 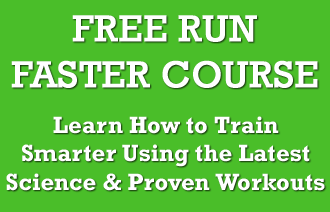 Why you included this training in such popular plan without having faith in its benefits for runners? I’m going to race my first marathon this october. Trying to be around the 3 hour mark, as long as I break 3:05 I’ll be pretty happy. I did yasso’s workout last week and averaged 2:58, I’ll let you know how it goes. Jeff, I agree entirely with your point of view. I do like having some benchmark 3-5 weeks or so before the race to determine my final goal pace after most of the marathon training is done and find running one or two tune-up races (as in e.g. Pfitz plans) not only a much better benchmark (thanks to e.g. McMillan calculator) but also producing far more benefits, not in the least psychological. Yasso’s are leg killers. Why would anyone do this type of workout? If you want a better predictor go out and run variousraces at times that are the equivalent to your goal marathon. A 10k race, ten mile race or a half marathon race is going to give you a great deal more info than 10 x 800. The first time I broke 3 hours I ran other races that predicted my goal time over the 5-6 months before the actual marathon race. Runners these days have a tendency to segregate the marathon from other distances. It’s like they don’t really want to know what they are capable of. Thanks for the article, I have noticed that a similar routine, the mile intervals, if you run them about 1 minute faster than your normal pace, they are curiously similar to the Yasso’s(which are roughly 1/2 a mile). Several friends suggest I run 5-6 x 1 mile intervals and rest a bit more in between(3-5 minutes). These are much more aerobic than the Yasso’s I thought. Certainly harder. I think you eluded to this when you said that the 4 hour marathoner could run a 90 sec lap, but had trouble doing a 6 min mile. Would the 5-6 mile’s worth of intervals be a better predictor? Seems that if the runner could do 5-6 mile intervals at 6 min pace, they should be close to the 3 hour mark for the marathon. Which would correlate to the same Yasso 800’s of 3 minutes for 800 X 10. I guess you could try and push this farther out distance wise. I will say there’s a big difference between running the mile vs the 800 intervals, even if the total distance is the same. I use the Yasso’s to build up to the mile intervals. So 6-10 Yassos’, then the next stage I’ll do 3-4 miles and then finally try and do 5 x 1 milers at 90-100%. Yassos seem to help with sprinting only, not really the longer distances, your article suggest a good reason why. I’ll stick with the mile intervals. I think I get similar Yassos with the hill x country runs I already do. Once Sir Roger Bannister said, “experiment in the lab has not much practical value to the athletes.” I’m an old new runner trying to run marathon running as much as I can. Most comments are really helpful for me to understand the nature of marathon. In last 18 months I completed 8 marathons( 6 out of 8 barefoot). I ran Boston this year planning to run next year in barefoot. Jeff has given us many good advice for us. However I have some differences in this 800 Yasso methods. I met Yasso SF marathon last year and spoke with him because of his sincere speech and his impressive experiences. I also had some email conversation with him for my story on RW last year. He was very nice yet honest guy unlike so many gurus today. I asked some of his opinion of specific questions of marathon. He was very direct and honest. Character to me matters most! For instance, I told him that I run marathon focusing on my breathing. I have some experiences of breathing. He could have comment on it any way he wished but he didn’t with some reservation. I run with nasal breathing which is beneficial for a runner because it holds much easier balancing levels of CO2 and O2. my point is that Yasso methods sounds odd but it bases on his master experiences. I have no doubt that we all benefit greatly only if we can digest steadily his weathered practical value. As Bannister said that the practical value is not same as the observational values in the absence of the actual experiences. Like barefoot running controversies today in which only practical value matters most. I did this workout back in September, about a month out from my first marathon. I then read the comments here. If I had read the article and the comments, I probably wouldn’t have bothered with the workout. At any rate, just to add another person’s experience for any readers looking to do Yassos to predict their marathon time, I ran 3:11 Yassos. My marathon time ended up being 3:34. I would think that if you can’t do the Yassos in your goal marathon time, you probably can’t do that time in the marathon). But I don’t think it’s the case that your Yasso time will tell you your marathon time. I thought I ran a pretty good marathon at 3:34. I may have been able to shave 5 minutes off if I had run perfectly. But I was never going to run it in 3 hours, 11 minutes = to my Yasso time. Thanks jeff for the insight about the yasso 800 I have never tried it but after I have seeing what you wrote about it I will net use it and think it will give me a marathon time I nearly believed it may I ask what is track training used for because I have read that marathoners must also do track training to inprove there running speed and leg strenght is there really a way a runner can workout race page and predicted times for instance the comarades ultramarathon because I am running it this year? Thank you for fully explaining what the Yasso 800’s are. I ran 3 x 800 and thought that was the test. Silly me. I just want to send Bart some Love, last year at the Burlington Vermont City Marathon he stood in the rain and gave everyone a high five or hand shake at mile 16. He is a running treasure. Jeff thanks for the great advice here. I am going back to VCM to see what the second time around will bring. I left plenty of room last year 5:06. Yasso 800s were a crucial component of my marathon training in my 50s (sub 3 for the marathon and on the 800s consistently). Just as important as long runs in my opinion, especially for a masters runner who is losing leg speed. The only modification I made was to cut the rest interval to 60 or 90 sec (on sub 3 min 800s). I also like 20 x 400s in 90 sec with about 35 sec recovery jog as an alternative (ave running time around the same as marathon pace. I don’t believe you can do this workout just once and expect it to predict accurately. So, you didn’t do the workout? Instead, you did threshold intervals, which I think are important for marathon training. Like you said, you do need to keep some of your speed during marathon training (I think hill sprints and strides are great ways to do this). So, doing what we call threshold intervals, which allow you to run much faster than a tempo run (usually 6-7 percent faster), but because of the short rest, you can maintain a threshold effort. Basically, you’re not doing Yasso 800’s. But call the workout whatever you want – it’s working for you. Good article and follow up postings, I haven’t noticed anyone mention something that Bart also said about the 800s. He says that they work best as a predicator for high milage runners. Good to hear someone point out the problem with Yasso 800’s. For a better marathon session, try the latest Frank Horwill’s 25 lap session. Marathon pace of course is not ‘predclicted’ but your target pace. If it’s too easy, up the marathon pace and think about adjusting your target time. If too hard, rest a lap, then continue but keep the session going regularly until you can cope. I think the attraction of the Yasso 800 reflected how simple the math was. In an era before GPS watches were ubiquitous and websites like the McMillan pace calculator were available, I can see how useful this workout – and pace predictor – would have been to many runners. There is clearly a link between 800 times in a Yasso workout and marathon times – but the novelty of the 60 to 1 conversion is a bit infantile in an era of scientific pace conversion algorithms. And, as Jeff suggests, Yassos are a bit of miscalibrated workout for a marathoner. For my money, the best predictor is a race or time trial. Half marathons or 30 km races are obviously better (but harder to fit into training programs too often), but 5 or 10 km races are also useful barometers to assess how training progress is going and where fitness levels currently are. Experienced runners will know how whether to adjust pace conversions up or down (based on a myriad of factors). Inexperienced runners should just try to be extremely cautious with their pace (maybe adding 10s per km to the predicted pace), enjoy their first marathon, and hope to get a big negative split and finish with a smile. I’ve found Yasso 800s to be quite accurate for me, both ongoing and looking back to when I did not know there was a correlation! If there’s a variance between marathon time and Yasso times, it’s not a surprise to me, given all the variables that can occur during a marathon and what we as individuals bring to the event. For me it gets close, and that’s useful in my training. I’m glad Bart spotted it, and yes, big shout out to an inspirational athlete. I found less rep versions of the yasso 800 theory really helped me prep for a 1.5 mi military fitness test. I had a 6:20 goal pace and I only put in 2 months of regular running (and only 12mi/week) to achieve that. So for me it is hard to believe that they would be as effective for marathon training but would be a good off season tool to increase pace. I did have some cardio fitness prior to running from cycling but only moderate. In the 2 months I went from walking in between 400’s at or below my goal pace to jogging in between 4×800 below my goal pace and cut 2 min from my 1.5 mi time. In the second month I added hill repeats once a week and I cross trained with some easy cycling. It gave me great satisfaction to max out the run portion of my test while putting in way fewer miles than a real runner, it was like finding a loophole in my taxes. Interesting Travis, thanks for sharing. That is great that it helped you to reach the fitness you needed for the test. Others will find this helpful to see an alternative. How did you end up doing in the fitness test? So……… you’re saying that it’s pretty accurate, but you can’t prove causality, so it’s worthless? It seems like a good way to predict marathon performance without having to run an actual marathon. Hi Matt, we are simply suggesting that it is not worth stressing out over, and leaving your “race” in a workout because you want to prove how fast you can run. Instead coach Jeff is suggesting a workout that is likely to give you more benefit on race day to use instead. You may still do Yasso 800s if you find it works for you! I’d agree they aren’t quite dead on for the predicted time – in my experience I have also found them to be 3 or 4 minutes quicker than my marathon time. But given that adjustment, I’ve found them pretty accurate. Of course, you still have to do the long runs. I am 56 years old and have been running for the last 11 years. Yesterday I set a PR of 1:44:35 in a half marathon. I’m sure there are many factors that contributed to my PR I’ve lost weight, I have found time for a long run at least every other week, and injuries have forced me to rest and recover more over the last couple years. I have done very little running on the track over the years. I would much rather run on a beautiful mountain trail then run around in circles. I have over the last few weeks started running Yasso 800s. For the first time I seem to be enjoying the track. Most marathoners would agree that running a marathon is as much a mental challenge as a physical one and I believe that Yasso 800s will help me get over that mental hurdle.